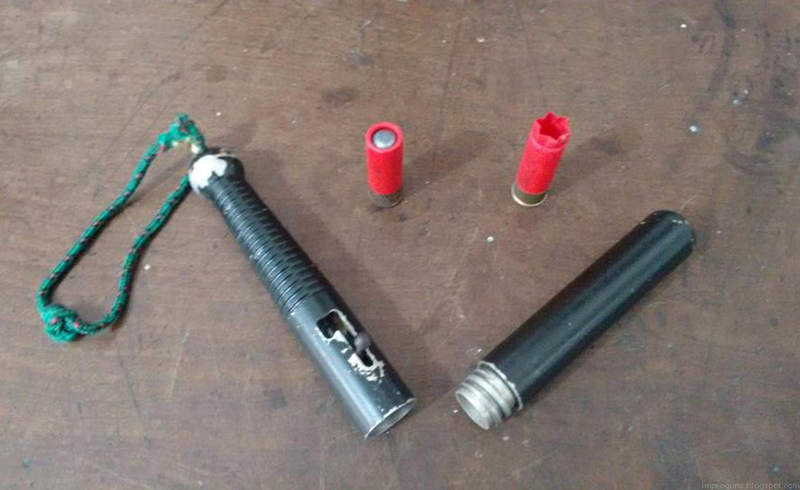 A homemade 12 gauge shotgun disguised as a billy club or truncheon. Used during an attempted murder in Brazil. 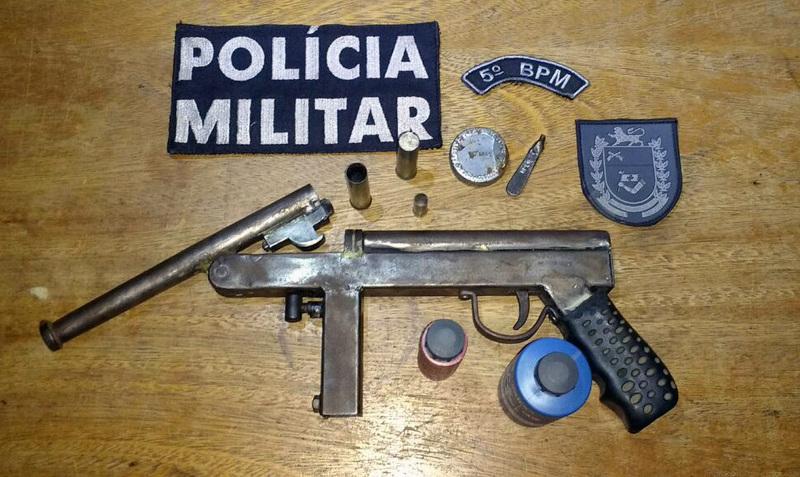 This entry was posted in Shotguns, Zip guns and improvised firearms and tagged billy club gun, Brazil, craft made weapons, crime, disguised firearms, DIY, firearms, gun control, guns, homebuilt guns, homemade firearms, homemade gun, homemade guns, homemade shotgun, homemade weapons, improvised firearms, zip guns, zipgun on May 29, 2016 by ImproGuns. A homemade submachine gun marked MOD.M5 SUB IRA. 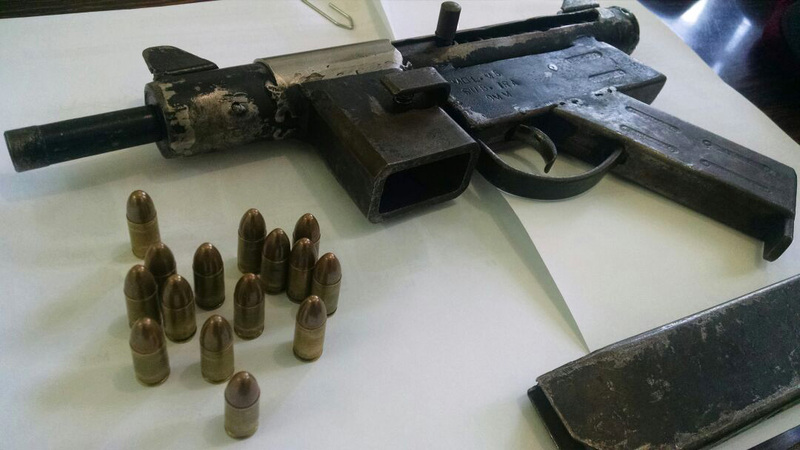 9MM which was seized in Porto Feliz, Sao Paulo, Brazil. Appears to be Of a model previously encountered. This entry was posted in Submachine guns and tagged Brazil, crime, DIY, firearms, gun control, homebuilt guns, homemade firearms, homemade gun, homemade guns, homemade SMG, homemade submachine guns, illegal firearms on May 19, 2016 by ImproGuns. 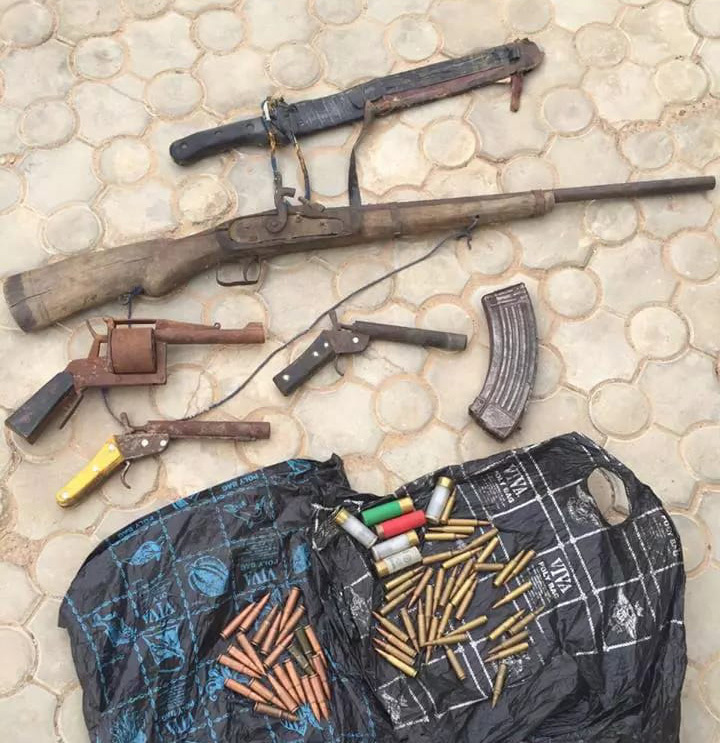 Homemade guns including a revolver and a percussion muzzleloader seized from cattle rustlers in Nigeria. This entry was posted in Revolvers, Single-shot pistols, Zip guns and improvised firearms and tagged danegun, homemade firearms, homemade gun, homemade guns, homemade pistols, homemade revolver, homemade shotguns, illegal firearms, impro guns, improguns, improvised, improvised firearm, improvised firearms, makeshift firearms, makeshift gun, Nigeria, Not 3D printed, zip guns, zipgun on May 12, 2016 by ImproGuns. 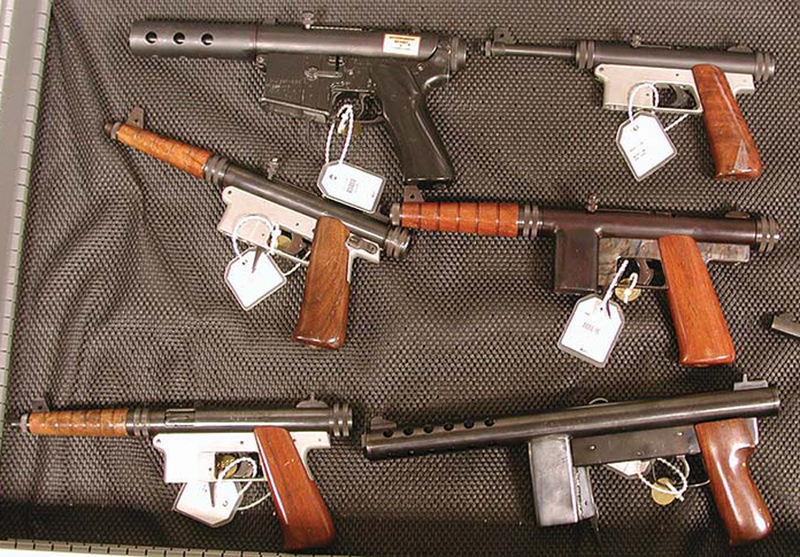 A collection of pistols designed by author and gunsmith Bill Holmes held in the ATF reference collection. This entry was posted in Semi auto pistols, Submachine guns and tagged Bill Holmes, DIY, guns, Holmes .22, homebuilt guns, homemade, homemade .22, homemade firearms, homemade guns, homemade pistols, MP22 on May 6, 2016 by ImproGuns.